I hope this isn't repeated, but I can't see to find an answer. Using the latest version of Synergy (1.8.8-stable-25a8cb2). Build date: 3-16-2017. 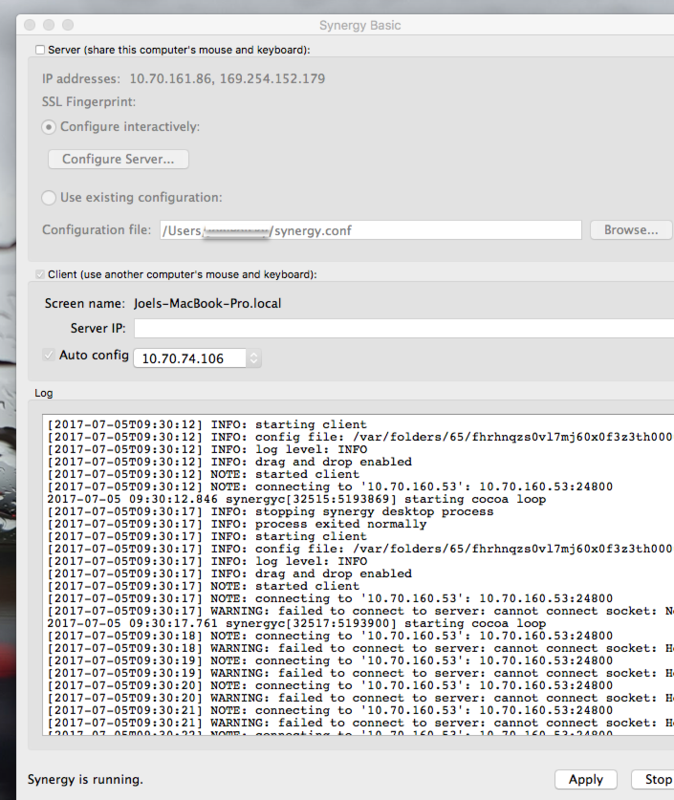 Setting: Client: Autoconfig checked with IP address (ethernet) in the menu box. 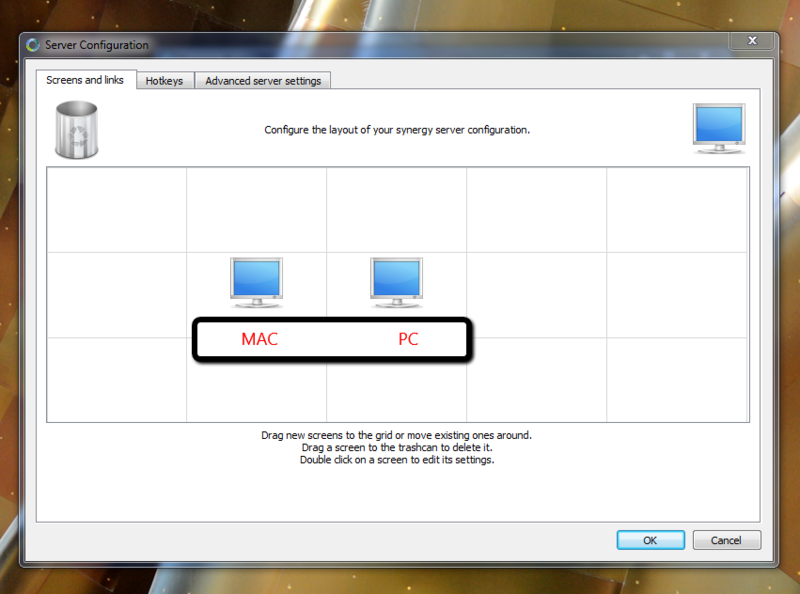 When PC screensaver activates -- the Mac's doesn't start. It is set to start after 10 minutes. The next day (this is a work computer) - the Mac's screen saver is not activated, but the PC's is. Once I login on the PC - then the screensaver engages. Sometimes I lose keyboard and mouse control on the PC - but they are active on the MAC. - I am unable to resort control. The only way is to do hard reboot of the PC. I'm attaching screen shots. I've also noticed that copy and paste from the client back to the server doesn't work with the mouse. I can only right click and copy - then use keyboard to paste. Also file copy and paste has never worked. Hi Paul -- Tried that.. didn't work. The mac's screen saver never gets activated. It's set to 10 minute delay. Also file drop and drag has never worked for me. @Joe Abasolo anything else I can try for the screensaver issue? I would suggest getting Microsoft's Mouse without Borders. I was having the same issue with screensaver and power functions. Not any more. And, it's free. Please note... I think it only works with Windows, so I would read the doc's before installing. Thanks! Unfortunately, I need to go between a PC and a Mac.